Weekend of 1/26 - 1/27 OPEN HOUSES! - Shannon Doser Group and Assoc. 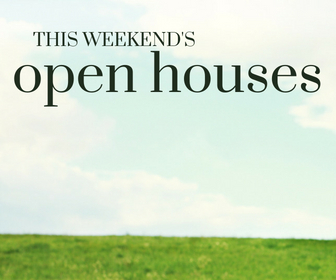 With so many wonderful OPEN HOUSES this weekend, which one will you make YOURS? OPEN: Saturday, January 26th from 1-3pm! To receive info & pics to your mobile phone, text “TDG5” to 79564. To receive info & pics to your mobile phone, text “TDG26” to 79564. Delightfully Updated Home in Leawood Estates! 4 bedrooms, 2.5 baths, 1,852 square feet of immaculate, move-in ready living space on a spacious .37 acre lot! OPEN: Sunday, January 27th from 1-3pm! To receive info & pics to your mobile phone, text “TDG3” to 79564. JUST LISTED with First OPEN HOUSE! 4 bedrooms, 2.2 baths, 2,837 square feet of living space on a cul-de-sac lot. OPEN: Sunday, January 27th from 2-4pm! To receive info & pics sent to your mobile phone: Text “SDG2” to 79564.